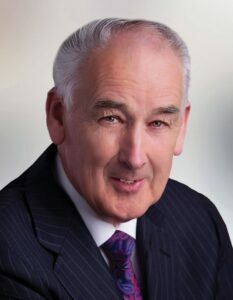 John was co-opted to take Alan Mitchell’s seat in April 2012 upon Mr Mitchell’s appointment as a District Court Judge. He is married to Breda and they have four grown up children. As a publican and practicing accountant, John is exceptionally well known, popular and deeply rooted in Longford. John has a lifetime involvement in sports including the GAA, and also horse racing. He is very much a people person and as a practicing accountant is well aware of the difficulties experienced by some families in terms of mortgage debt. He is working to secure debt write-down facilities for deserving families to assist them back onto financial security and also is committed to taking steps to curb forced emigration. He will continue to support and represent his local community to the best of his ability.